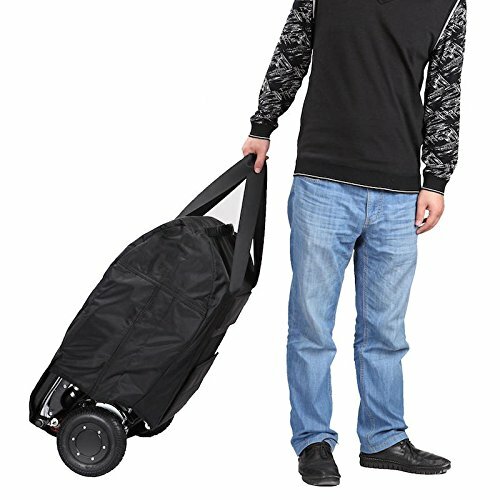 Traveling Bag for Foldawheel PW-999UL, the lightest power electric wheelchair in the world. Cover the Foldawheel from top approach, which minimized the effort to pack the Foldawheel into this tight fit traveling bag. The Traveling Bag is thick enough to provide proper protection against scratches and minor shocks. A must to buy if you plan to travel with your Foldawheel. As the original designer and producer of Foldawheel PW-999UL, we make the Traveling Bag for it too. You can drag it with the long handle strap or lift it with the short handle. It is made of very thick waterproof Nylon, with foam lining, and another layer of Nylon inside. For best protection during your travel time, we make it very tight fit. Now you can worry less about the airport luggage service that might damage your Foldawheel. If you have any questions about this product by Wheelchair88, contact us by completing and submitting the form below. If you are looking for a specif part number, please include it with your message.